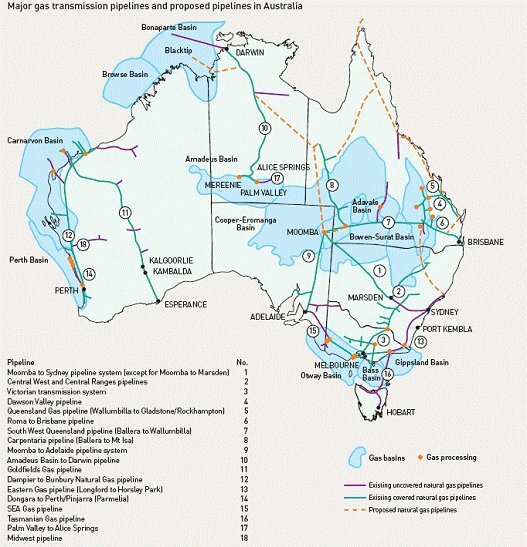 The Business Spectator reports that AGL's CEO is predicting east coast gas prices will triple once the coal seam gas LNG plants in Queensland come online in 2015 - Gas prices to spike: AGL. Mr Fraser said as power generators and industrial users absorb the effects of $70 billion worth of LNG plants being constructed at Gladstone, domestic demand would come under pressure and push gas prices higher. "Everybody talked about there being a surplus of ramp-up gas, now people talk about the wedge gas -- the shortfall in the gas they have in the early years of the project," Mr Fraser said. "Deals are being done at $9-$10 and who knows where it will go when it starts up."